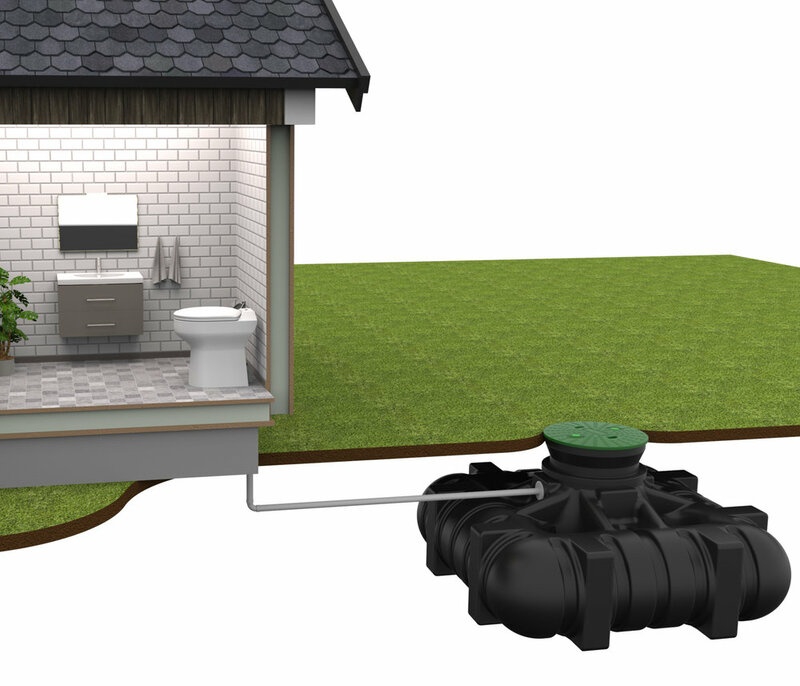 This is how an EcoVac vacuum toilet works! EcoVac® is a true vacuum toilet. The EcoVac works much like a mixture of an airplane toilet and a water closet. It has water in the toilet bowl, but no water in the pipes. When the toilet is flushed, the waste is transported all the way to the tank directly. Since the sewage pipes are always empty and the transport takes place with air, the extremely low water consumption is possible. Since EcoVac has water in the toilet bowl and no other engine inside the house, it feels just like an ordinary toilet. And is as hygienic and sustainable for many years to come. Only the toilet is inside the house. EcoVac is the Vacuum WC with water flushing and villa housing standard! Inside the house there is only the toilet seat. It is used just like a normal toilet, but has no water tank in itself, the water in the bowl is refilled after each flushing directly from the water pipe. The EcoVac is controlled by a control box. The Control box sets the amount of water being used, adjusts vacuum time and pause time. And it is connected to the toilet and the vacuum unit. Usually mounted next to the electrical cabinet in the house. The benefits of choosing with EcoVac vacuum toilet! Proper Water Toilet - The comfort of a proper water closet of ceramic cannot be beaten. True vacuum - Transports the waste all the way out to the tank in a couple of seconds. The pipelines are otherwise empty, which minimizes the risk that waste will freeze. Works with different types of collection units! - Most types of sewage tanks or, for example, the bio unit "BOSS: 2" from Wostman where tanks are not allowed. Check which rules apply in your municipality. Can also be installed on your old tank. Extreme energy saving - The vacuum unit is only used for a few seconds when flushing. Energy cost about SEK 10 per year! Consume about the same energy per year as an electric toilet / combustion toilet does on a single toilet visit. Reliable - EcoVac® is specially developed to maintain the highest reliability. No valves or cutting pumps that the waste should fit through.